• The African Aviation Tribune •: ■ ANGOLA: Namibe Airport to resume operations from September 6. Speaking during a provincial meeting with local youth, Mr Falcão said that upgrade works to runway 08/26 would be fully concluded by August 15 with the rehabilitation and upgrading of the airport's terminal to be concluded by August 30. He said that the façade of two new buildings will also be concluded at the end of this month, though internal finishings in the Departures & Arrivals are only due in December 2013. As previously reported, for the duration of works, carried out by Brazilian contractor, Odebrecht, with Portugal's Somague and Angola's Omatapalo also on board, residents of Namibe have had to use Munkanka International Airport, in Lubango. 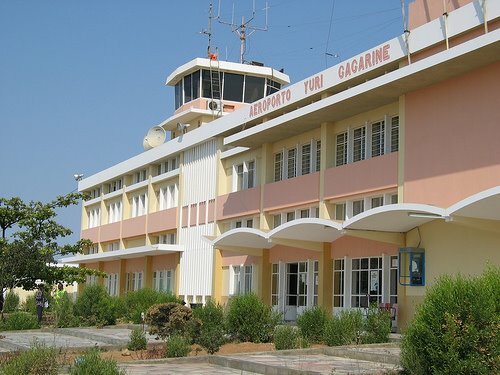 Angolan Transport Secretary of State for Civil Aviation, Mário Miguel Domingos, said while the airport will now be able to handle 737-size aircraft with a capacity for 400 passengers/hour, the airport will not be open to international travel as had been speculated. The airfield is expected to be operational in time for the 2013 FIRS Men's Roller Hockey World Cup to be held in Luanda and Namibe from September 20 to 28 though government has looked to use the facility as a means of boosting local tourism.